If you choose a photo or video that’s more than 24 hours old, you’ll automatically see a new sticker that helps you add context for when it was taken. As with all stickers, you can rotate, resize or remove the date sticker from your story before you share. What makes this change significant? Users who wanted to share to Stories no longer need to take screenshots of photos or change metadata, if they want to share images older than 24 hours old. 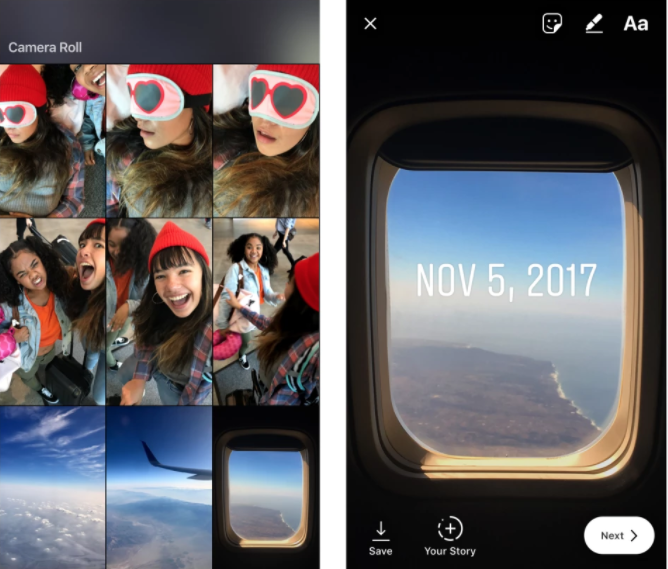 Instagram launched Stories 15 months ago, borrowing an idea from Snapchat. In that short time, Instagram Stories has accumulated over 300 million daily active users, nearly double the size of Snapchat. This update is now available on the latest versions of Instagram for iOS and Android.